Summer may be winding down now, but it doesn’t seem like it’ll be getting cooler anytime soon. For most of us, that means an even greater need for water. Unfortunately, summer also tends to mean droughts for many areas. This makes water conservation all the more important for this time of year. With that in mind, here are some tips to help you save water at home. 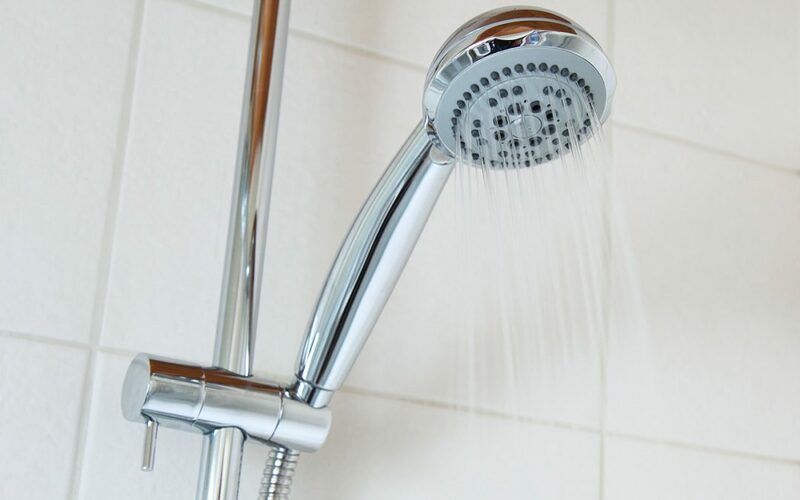 The EPA reported that standard showerheads use an average of 2.5 gallons of water per minute. For older shower heads, that rate can jump to as much as 5 gallons per minute. For this reason, cutting down your shower time by even a few minutes can result in some significant water savings. Using 2.5 gallons of water per minute isn’t exclusive to shower heads. The average faucet releases water at about the same rate. That’s why it’s best to minimize the amount of time you have the faucet turned on. You can save water at home by simply turning the faucet off while washing your hands and brushing your teeth instead of allowing the water to keep running. When it’s time to rinse, turn the water back on. Over the course of a year, this saves many gallons of water. If you think shower heads and faucets use up a large amount of water, wait until you hear about toilets. According to National Geographic, standard toilets use close to 3.5 gallons per minute of water per flush. This rate is even worse for older toilets, which can use up to 6 gallons per minute. This tip might be unappealing to some and unacceptable to others, but consider whether it’s necessary to flush after every trip to the bathroom. For those of you who aren’t keen on the idea of flushing less, perhaps investing in a low-flow toilet is a better option. Toilets account for around 30 percent of indoor water consumption on average. So installing newer, EPA WaterSense-certified toilets, which use only 1.28 to 1.6 gallons of water per flush, can be a purchase that significantly helps to save water at home. Upgrading to a WaterSense toilet can also qualify you for a rebate in some places. Another water-conserving investment you could make is by replacing regular shower heads with WaterSense-certified shower heads. These shower heads can save you about 1/2 gallon or more in water per minute while offering the same or better performance. Considering that showering can account for almost 17 percent of household indoor water use, those savings can really add up. Leaks can be a major source of water waste in the home. They often go unnoticed, but an easy way to tell they’re there is by keeping track of your water bill. If you find that it’s suddenly spiked, there’s a good chance it’s because of a leak. Calling in a plumber to fix leaky water lines and faucets can save you on both water and cash. Instead of dumping that pot full of water down the drain after you’ve boiled your food in it, you can actually dump it somewhere much more useful. Did you know that left-over cooking water is perfectly fine for watering plants with? Just make sure to let it cool off first so that the boiling water doesn’t harm the plants. One final investment to consider in order to save water at home is to install a rain barrel. Rain barrels store rainwater collected from gutters and downspouts. This water can be used to hydrate your plants so you can avoid using the hose or sprinkler. There are even systems you can install that pump this captured rainwater right into your landscape irrigation. The above ideas are techniques that can be used to use less water as a household. By trying out some or all of these methods for saving water, you will enjoy watching your utility bill decrease. Kelleher Home Inspections serves Las Vegas and the surrounding areas with home inspection services. Contact us to book your appointment.